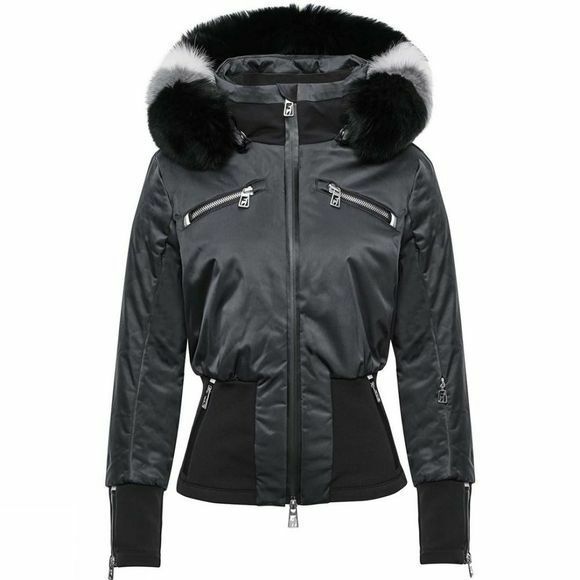 The Womens Johanna Fur Limited Edition Jacket from Toni Sailer Sports was created with an understanding of style and a sense of luxury, and produced as a limited edition garment. The fur on the Johanna Fur ski jacket is what puts this jacket in the spotlight: strikingly elegant and exceptional, particularly in its choice of elaborate colours. The bomber-style jacket is what lends this jacket its fashionable esprit and the removable hood makes it ever so versatile. The elegantly lustrous shiny satin material combines functionality and value. It provides the black Toni Sailer ski jacket with a waterproof rating of 20,000 mm and a breathability rating of 10,000 g/m²/24h. For the ultimate in high performance, the Olympic jet fabric has been added to specific areas. In addition, it has a waterproof rating of up to 20,000 mm and, with a rating of 20,000 g/m²/24h, it is highly breathable. You can rely on the comfortably light PrimaLoft Gold Active insulation to keep you warm and on the stretchiness of the ski jacket’s lining for ease of movement. The high-quality and functional features of the ski jacket are complemented by YKK zippers: waterproof AquaGuard zippers on the front, side pockets and cuffs, and Excella zippers on the chest pockets. Toni Sailer: pop star, movie star, skiing legend, and luxury ski-wear brand. Founded in 1995 by three-time Olympic gold medallist and World Champion skier Anton Englebert ‘Toni’ Sailer, Toni Sailer is a brand synonymous with success, innovation, style and performance. Sailer’s multifaceted life serves as the inspiration for the Fall/Winter 2017/2018 collection. 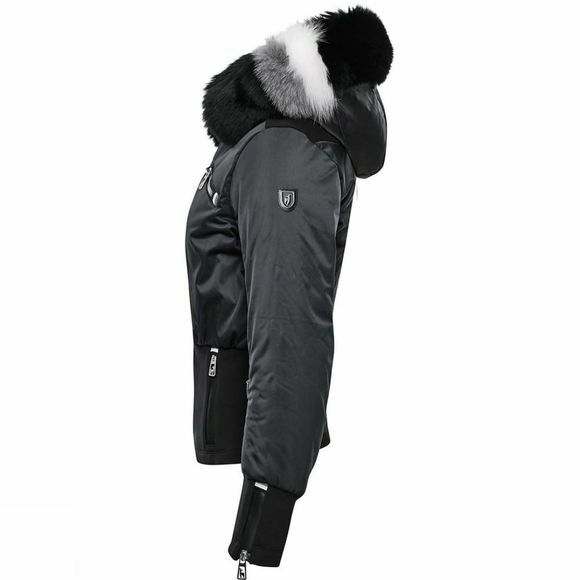 It combines glamour and performance, while offering styles which are suited for both the slopes and the city streets. In addition to the seasonal collection, Toni Sailer have launched a small premium line, available for a limited time, inspired by the “Black Blitz from Kitz,” Sailer himself. Toni Sailer products are made with expert craftsmanship and cutting edge technological processes, ensuring years of use even under punishing conditions on the slopes. From jackets to trousers, base layers, knitwear and accessories, the Toni Sailer range represents the best in luxury outdoor fashion, and impeccable attention to detail.